Relax and unwind with a pampering getaway at Natural Elements Spa and you will be too blissfully relaxed to function afterwards. Finding a spa that does massages is easy but finding one that does great massage is near to impossible. So when I fixed an appointment at Natural Elements spa for Ku Nye Massage, I hadn’t prepared myself for the incredible knot melting, tension busting, mind soothing body massage treatment that followed. I assume I was living under a rock that I haven’t been to this spa earlier. 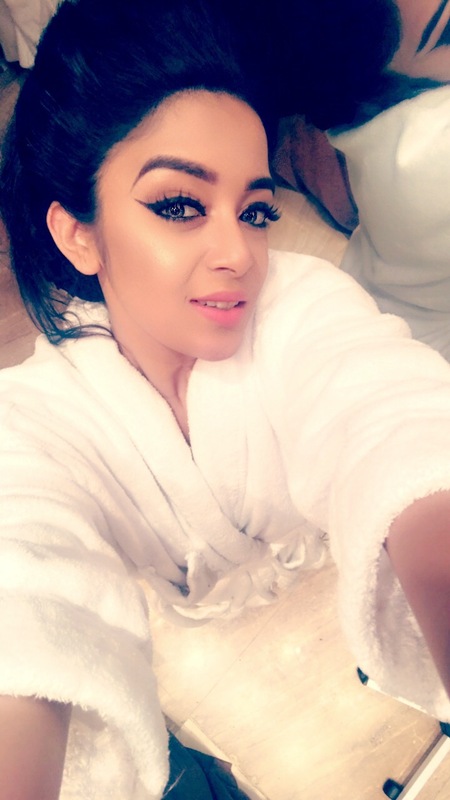 Natural Elements Spa is a sanctuary of rejuvenation that revitalize body, mind and spirit by offering extensive signature therapies that will get you covered for relaxation and rejuvenation from head to toe. It was a relief on it’s own to step into the soothing surrounds of the Natural Elements Spa overlooking the swimming pools and lush gardens, nested at the backyard of the Le Meridien Dubai. I was there to experience the Ku Nye Massage ‘head-to-toe healing’ that’s beneficial for tension-releasing, harmonizing and for anti-jet lag. 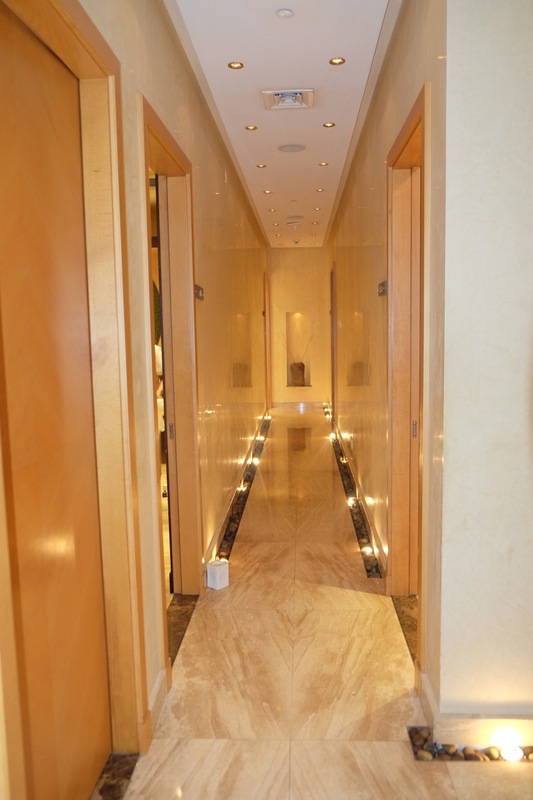 This 90 minutes Tibetan body treatment balances the five elements to restore a harmonious flow of energy and vitality. Super-friendly therapist Juntana immediately put me at ease by kicking off the treatment with a foot soak and scrub. She have used a blend of five essential oil for treatment that works together to stabilize the five sensory organs and used techniques like cupping , kneading with the use of warm crystals and poultices. Acupressure techniques helps to release physical and mental tension, harmonizing from the tips of the toes to the crown of the head. Never thought you can fall asleep during a massage? Try this one and you will be pleasantly surprised. 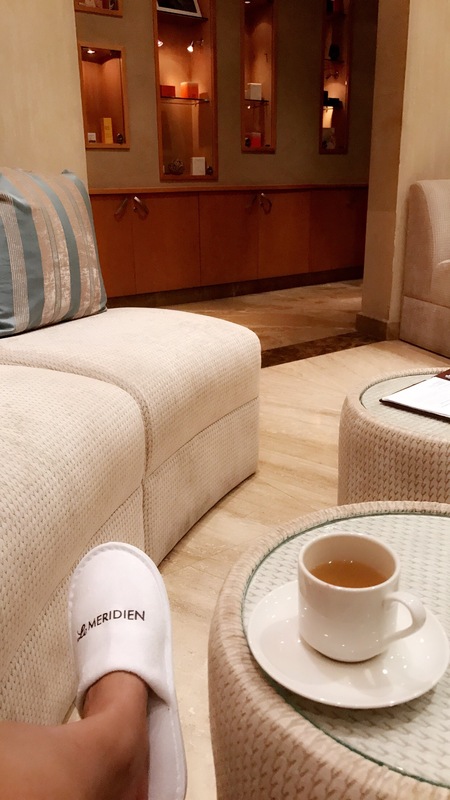 After your treatment, you can lounge on their relaxation room with a cup of their special ginger tea. You will leave feeling soft, relaxed and refreshed. Natural Elements Spa will surely succeed in making you completely forget the busy world just outside the door for 90 minutes. Rinse off in a shower afterwards and then head back into the hustle and bustle of the life. Le Méridien Dubai Hotel & Conference Center Airport Road, Al Garhoud Dubai. 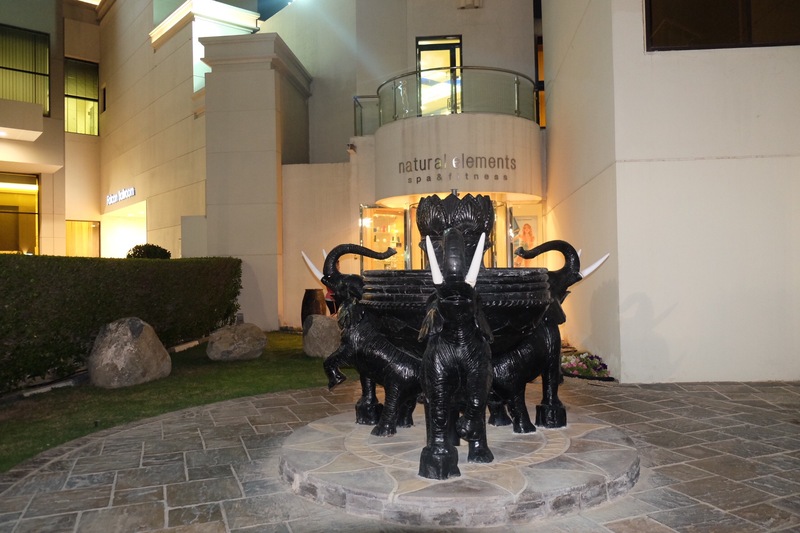 Previous Post 7 Elephants – The Newest Hot-Spot in Town. Next Post The Sandbar, Westin Dubai Mina Seyahi Resort & Marina.